Are you thinking about selling your ATM portfolio, route, or just an individual ATM location? Perhaps you want to sell the entire route and exit the business, or maybe you just want to get rid of a few locations that are outside of your service area and causing too much extra driving. Whatever it is, Prineta can help. 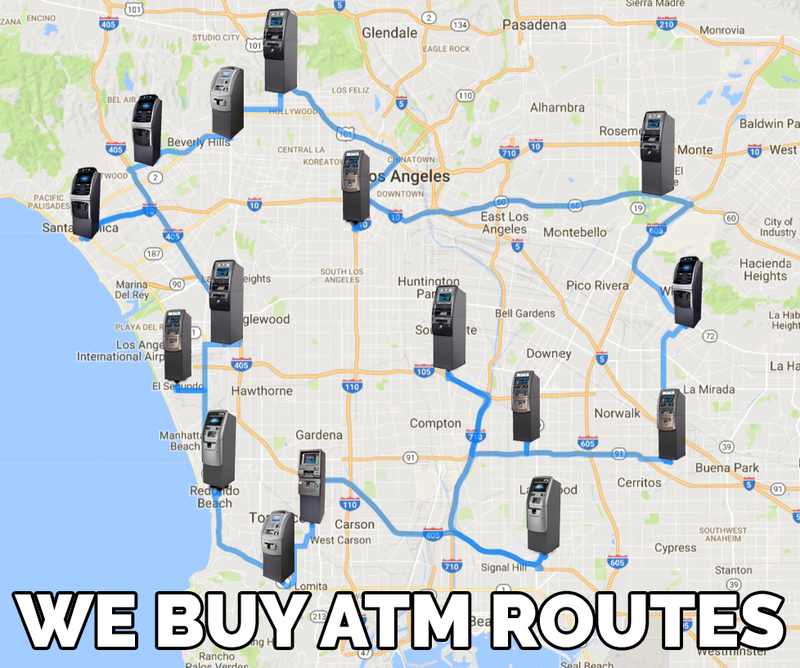 We buy ATM routes large and small, whether it’s one location or hundreds. We can buy ATMs anywhere in the country. We can buy the entire portfolio and manage it, or we can just do the cash loading. If you’re thinking about selling, don’t hesitate to contact us. Can no longer keep up management or maintenance. Involved in other business interestes/ventures. If you’re looking to get out the business entirely, we can buy the entire route from you and take over every aspect of the operation. Many times, operators are just looking to get rid of one or a few ATM locations in their portfolio. This can be a good decision for ATM operators who want to maximize their business operation and resources. Sometimes ATM operators will acquire locations way outside of their normal service area and this will cause them a huge headache. Selling off a few locations can often dramatically increase the overall efficiency of your business operation. Continue to own the ATM(s) or continue to load the cash. If you’re wanting to maintain some ownership or involvement in the operations of your ATM(s) and don’t want to get out of the business entirely, we can work with you. If you want to maintain ownership of the machines, then Prineta can just load the cash only. If you’d like to continue loading, but don’t want to deal with the maintenance of ATM-ownership any longer, we can buy the ATM’s from you, and you continue to load them. Where can Prineta buy ATM locations? We can buy ATM locations anywhere, nationwide in the US and Canada, and also Puerto Rico. Prineta operates other ATMs in almost every metro area and so chances are we already have other ATMs near your area. We are not trying to get rich off of you selling your route. We simply are looking for opportunities to grow our business. If the deal isnt’ fair for both parties, then we wouldn’t make an offer, it’s that simple. We have a good reputation in the ATM industry, ask just about anybody in the industry and they might know about us, we regularly attend the ATMIA (ATM Industry Association) and NAC (National ATM Council) conferences and meet other ATM business owners. We’re very good at working with other ATM operators and providing flexible solutions to create win-win situations. In addition, we can guarantee that if you sell to us, it will also be fair to merchant who’s hosting the ATM in their business. We are a reliable company with good customer service, we maintain an A+ rating with the Better Business Bureau. It’s important to feel confident that you’re selling to a company that will properly manage the ATMs, pay the site owners on time and the agreed amount and provide good customer service. How does the value of the route get determined? To determine the selling price of the route a 3-4 multiple of the yearly cash flow/net income, plus assets is typically used. How much space is required for an ATM machine?